Hey guys and gals, my name is Anna. I’m a wife and a momma to 3 little boys! They are ages 7, 5, and 3! My husband is in the U.S. Air Force, so I mostly stay-at-home (but work a little outside of home too). Home rests in rual northwestern Ohio (on an old no longer working dairy farm). Our family loves the outdoors! We raise chickens, ducks, dog, and lots of outdoor cats. We love to garden, camp, read fun kid’s books, and have dance parties! 11 years ago, I met my husband. He just knew that he was going to marry me from that moment on. I fell in love. After we got married and had our first baby, my husband deployed. That launched my life as a stay-at-home mom. And now our family has grown to 5, which is crazy to think about! I really struggled as a stay-at-home mom in the early years. Then, my hubby was working long hours with a long drive each day and occasionally switched to midnight shifts. I was caring for (practically) 3 babies with little help. As you can imagine, lack of sleep was my worst enemy. But I went through a period of time denying my baby blues. So what did I do? I prayed hard, got healthy, and became an ambitious momma! The reason behind Momma Bird Blog, because I realized what I was going through as a mom wasn’t talked about much. Sometimes as a mom, you feel judged, alone, and just burnt out! We need to stop telling ourselves that we don’t deserve to feel good. We need to be understood and encouraged. 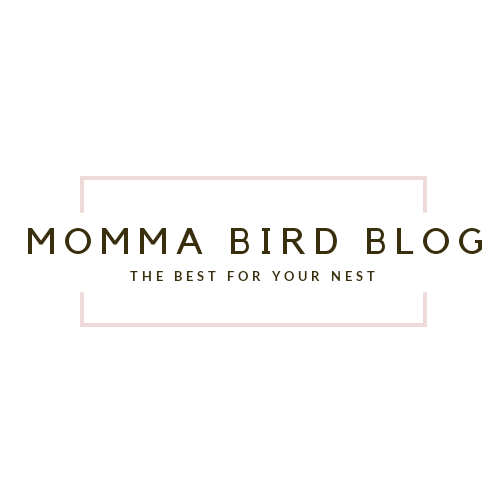 Momma Bird Blog is an overall wellness blog for Moms. I want to encourage you to feel physically, emotionally, and spiritually well. You deserve the best! Email me if you even just need a friend to chat with!